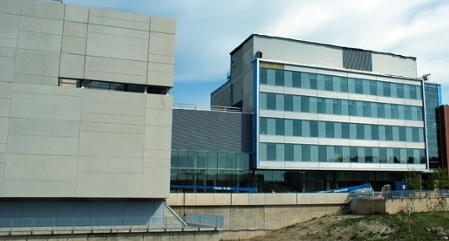 The University of Ontario Institute of Technology (UOIT) website consists of the material provided under the uoit.ca domain (e.g., http://www.uoit.ca) and hundreds of subdomains (e.g. http://www.science.uoit.ca) and official university social media sites (e.g. http://www.facebook.com/myuoit) hereinafter referred to collectively as the “Site”. By accessing, browsing, subscribing to or otherwise using the Site, you agree to comply with the terms and conditions in this agreement, as amended from time to time. UOIT reserves the right to change, modify or amend this Agreement, or add or remove portions of the Site and any Products and Services, at any time and you agree to be bound by such changes, modifications, additions or deletions. The current version of this Agreement will be posted on www.uoit.ca at all times. Please check back frequently to see any updates or changes to this Agreement. Your continued use of t the Site following the posting of changes will constitute your agreement to be bound by such changes. Any information sent or received over the internet is generally not secure. UOIT does not guarantee the security of any communication to or from the Site. You may be issued a user name and password (collectively, your "account") in order to access certain sections of the Site and/or certain products and services available through the Site (the "Products" and "Services" respectively). You are responsible for maintaining the confidentiality of your account, and for all activities that occur through the use of your account. You agree to: (a) immediately notify UOIT of any unauthorized use of your account or any other breach of security, and (b) ensure that you exit from your account at the end of each session. UOIT will not be liable for any loss or damage arising from your failure to comply with this section. You may be issued a new password or required to change your password from time to time. Except for public domain material, all content and material on and/or forming part of the Site from time to time, including all text, information, links, graphics, audio, video, animation, logos, trademarks service marks and trade names, and the design and arrangement thereof, and all source code and software (collectively referred to as the “Content”), are protected by copyright, trademark and other laws, and are owned or controlled by UOIT or its licensors. All rights not expressly granted to you in this Agreement are reserved. You agree that any copy of the Content, or any part thereof, which you make shall be solely for your private, non-commercial use or for such other use as may be authorized in writing in advance by UOIT, and shall retain all copyright and other proprietary notices in the same form and manner as on the original. engaging in any conduct which UOIT, in its sole discretion, determines to be detrimental to its interests, including, without limitation, acting or failing to act in a manner contrary to this Agreement, or intentionally interfering with the Site or UOIT’s computer systems. THE SITE, THE CONTENT AND THE PRODUCTS AND SERVICES ARE PROVIDED ON AN “AS IS” AND “AS AVAILABLE” BASIS AND WITHOUT WARRANTIES OF ANY KIND EITHER EXPRESS OR IMPLIED. TO THE MAXIMUM EXTENT PERMISSIBLE UNDER LAW, UOIT DISCLAIMS ALL REPRESENTATIONS, WARRANTIES AND CONDITIONS, EXPRESS OR IMPLIED, INCLUDING BUT NOT LIMITED TO IMPLIED WARRANTIES AND CONDITIONS OF MERCHANTABILITY, MERCHANTABLE QUALITY AND FITNESS FOR A PARTICULAR PURPOSE, TITLE, NON‑INFRINGEMENT OF PROPRIETARY RIGHTS, AND IMPLIED WARRANTIES AND CONDITIONS ARISING FROM THE COURSE OF DEALING OR COURSE OF PERFORMANCE. UOIT DOES NOT WARRANT THAT THE SITE OR ANY PRODUCTS OR SERVICES WILL BE UNINTERRUPTED OR ERROR‑FREE, THAT DEFECTS WILL BE CORRECTED, OR THAT THE SITE OR THE SERVER THAT MAKES IT AVAILABLE WILL BE FREE OF VIRUSES OR OTHER HARMFUL COMPONENTS. UOIT DOES NOT WARRANT THE ACCURACY, COMPLETENESS OR CORRECTNESS, TIMELINESS, OR USEFULNESS OF ANY OPINIONS, ADVICE, SERVICES, MERCHANDISE OR OTHER INFORMATION PROVIDED THROUGH THE SERVICE OR ON THE INTERNET GENERALLY. IN NO EVENT WILL UOIT BE LIABLE TO YOU OR ANYONE ELSE FOR ANY DECISION MADE OR ACTION TAKEN BY YOU OR ANYONE ELSE IN RELIANCE UPON THE INFORMATION PROVIDED THROUGH THE SERVICE. UOIT shall have no responsibility or liability to you in connection with third party websites accessible by links posted on the Site (“Linked Sites”). Access to Linked Sites is at your own risk and UOIT is not responsible for the availability, accuracy or reliability of the contents of any Linked Site or any link posted on a Linked Site. UOIT provides links to you only as a convenience, and the inclusion of a link does not imply endorsement of the Linked Site or any products, services, materials or statements contained or referred to thereon by UOIT. 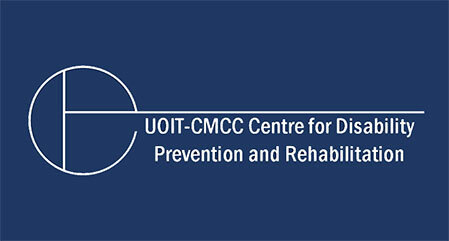 You agree that UOIT and its Board of Governors, officers, employees, representatives, agents, licensors and licensees shall not be liable to you for any damages of any kind arising from your use or inability to use the Site, any Products or Services or any Linked Sites or your reliance on any Content. You agree that this limitation of liability is comprehensive and applies to all damages of any kind, including, but not limited to, direct, indirect, special, incidental, consequential or punitive damages. 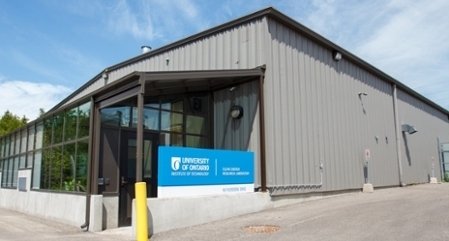 In no event shall UOIT’s total liability to you for all damages, losses, and causes of action, whether in contract, tort (including but not limited to negligence) or otherwise, exceed any amounts paid by you to UOIT to access the Site in the month immediately preceding the event giving rise to such liability. You agree to indemnify, defend and hold harmless UOIT and its Board of Governors, officers, employees, representatives, agents, licensors and licensees, from any damages, losses, costs and expenses (including reasonable legal fees), incurred in connection with any third party claim or demand alleging or based upon your breach of this Agreement or your violation of any law or the rights of such third party. UOIT reserves the right, at its own expense, to assume the exclusive defence and control of any matter otherwise subject to indemnification by you hereunder, and you shall cooperate as fully as reasonably required by UOIT. UOIT may, in its sole discretion, terminate or suspend your access to all or part of the Site, the Content and/or any Products or Services for any reason, including, without limitation, your breach of the Agreement or transmission of any unsolicited advertising materials. You agree not to submit, publish, transmit, display, disseminate or otherwise communicate any libelous, defamatory, inaccurate, abusive, threatening, offensive or illegal material while connected to or otherwise using the Site or any Service. Transmission of such material shall constitute a material breach of this Agreement. UOIT does not and cannot review every submission posted by users and is not responsible for, nor does it endorse, such submissions. You acknowledge that any submissions may be edited, removed, modified, published, transmitted and displayed by UOIT or the administrators of the Site, in their sole discretion. Users remain solely responsible for the content of their submissions. By submitting content to any area of the Site, you grant UOIT and its affiliates a royalty‑free perpetual, irrevocable, transferable, non‑exclusive right (including any moral rights) and licence to use, reproduce, modify, adapt, publish, translate, create derivative works from, distribute, communicate to the public, perform, display and otherwise use such content, in whole or in part, worldwide in all manner and media (whether now known or later developed). You represent and warrant that you have, or the third party holder of the moral rights in such content has, completely and effectively waived all such rights and that you have the lawful right and authority to grant the licence granted herein. You also authorize any user of the Site to access, display, view, store and reproduce such content for personal use. Access to the Site, the Content and the Products and Services is not permitted where prohibited by law. If you choose to access this Website and/or use the Products or Services, you do so on your own initiative and are responsible for compliance with applicable laws. This Agreement and your use of the Site shall be governed and construed by the laws of the Province of Ontario and the federal laws of Canada applicable therein notwithstanding your domicile, residency or physical location. Any dispute arising under this Agreement shall be resolved exclusively by the courts located in the Province of Ontario. You agree not to bring any legal action against UOIT in any jurisdiction except the Province of Ontario and you shall submit and consent to such jurisdiction. If any provision of this Agreement shall be deemed unlawful by a court of law, then the impugned provision shall be deemed severed and shall not affect the validity and enforceability of any remaining provisions. This Agreement constitutes the entire agreement between you and UOIT in connection with your use of the Site. Any failure to insist upon or enforce strict performance of any provisions of this Agreement is not to be construed as a waiver of any provision or right. Your use of the Site is not intended and shall not be deemed to create any agency, joint venture or other legal relationship of any kind between you and UOIT other than that of independent contractors.